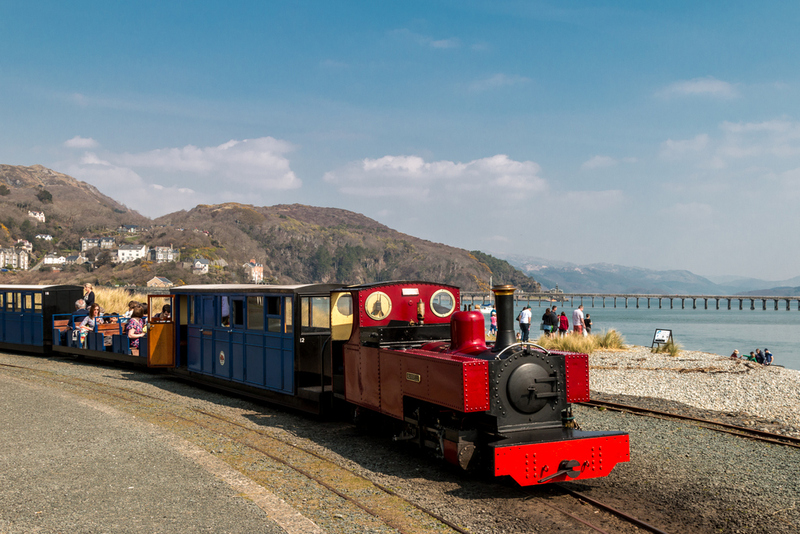 The Railway has run from Fairbourne village to Penrhyn Point since 1895. With the arrival of the Cambrian Coast Railway there were schemes to develop the area for tourism. There were several horse drawn construction tramways in the area, the tramway that was used to construct the village became the Fairbourne Railway. Beginning life at 2 foot gauge, the line was converted to a 15 inch gauge steam railway in 1916 and played an important part in the development of the 15 inch gauge railways in the UK. The railway had mixed fortunes during the inter war years (at one time it was leased to the ferrymen) and at another time it experimented with dual gauge track after trying to solve a motive power shortage by buying a locomotive of a different gauge (18 inch). The line closed in 1940 after operating its final year with a diesel locomotive. The railway was rescued by a consortium of Midlands businessmen in 1946 and after a Herculean task was reopened by 1947. The line enjoyed support from its generous owner, John Wilkins, the whole line was redeveloped and accumulated new steam and diesel locomotives. The heyday was in the 1960’s & early 1970’s but the advent of mass foreign holidays and increasing numbers of other local narrow gauge railway meant there was a steady decline in the 1970’s & 1980’s. The line’s ownership changed in 1984 (to the Ellerton family) and was re-gauged to 12¼ inches in 1986. 4 new steam locomotives introduced (2 of which had run on the Réseau Guerlédan Railway in Brittany in 1978). 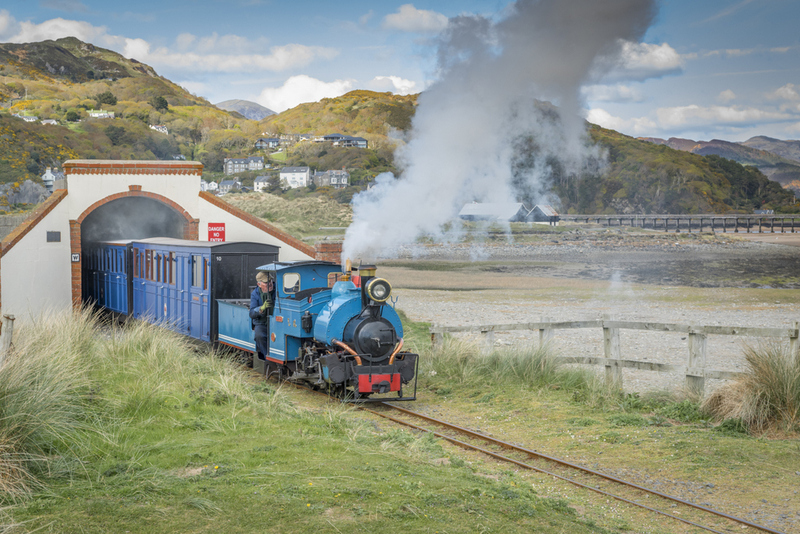 All 4 steam locomotives are ½ sized replicas of narrow gauge engines; Yeo, Sherpa, Beddgelert and Russell. Other than Sylvia(rebuilt as Lilian Walter) all the old 15 inch gauge locomotives left the railway. The railway was again put up for sale in 1990, the lines fortunes appeared to be declining once again. During the five years it was up for sale the railway deteriorated dramatically. The late Prof. Tony & Mrs Atkinson and Dr & Mrs Melton bought the line in April 1995 and invested heavily in the railway and Rowen Centre (taking no salary, or share dividend) in order to preserve the line. From February 2009 the ownership of the railway was transferred to a charitable body in order to preserve its long term future.